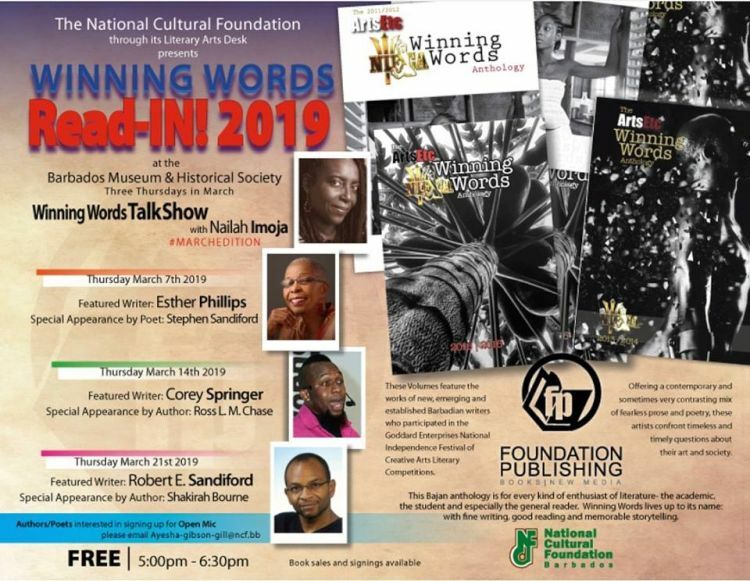 The Barbados Museum & Historical Society, in association with the National Cultural Foundation, presents Winning Words Read-IN! 2019. Winning Words Read-IN! 2019 will be a 6 session series of free literary events at the Barbados Museum on Thursday evenings. The fabulous, funny and very well read hostess with the mostest, Nailah Imoja, will be chatting with the Featured Writers about their work in the NIFCA anthologies and their exciting current projects. There will be an Open Mic Session for all you budding poets, playwrights and story writers. Read-In runs until Mar 21st.